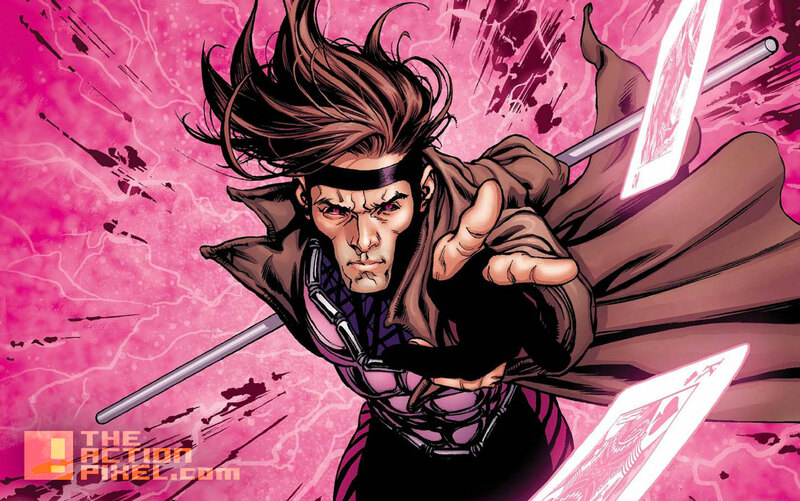 It looks like Fox has vamped up the production date of it’s Marvel franchise film Gambit to begin filming in New Orleans this March, according to an ABC-affiliated local New Orleans outlet. From left to right: T.J. Miller (Weasel in Deadpool); James McAvoy (Prof. Charles Xavier in X-Men: Apocalypse); Michael Fassbender (Magneto in X-Men: Apocalypse); Channing Tatum (Gambit in Gambit); Ed Skrein (Ajax in Deadpool); Gina Carano (Angel Dust in Deadpool); Jennifer Lawrence (Mystique inApocalypse); Hugh Jackman (Wolverine in Untitled Wolverine Sequel); Ryan Reynolds (Deadpool in Deadpool); Brianna Hildebrand (Negasonic Teenage Warhead in Deadpool); Oscar Isaac (Apocalypse in X-Men: Apocalypse); Evan Peters (Quicksilver in Apocalypse); Nicholas Hoult (Beast in X-Men: Apocalypse); Olivia Munn (Psylocke in X-Men: Apocalypse). CW’s “The Flash” teases Gorilla City? !